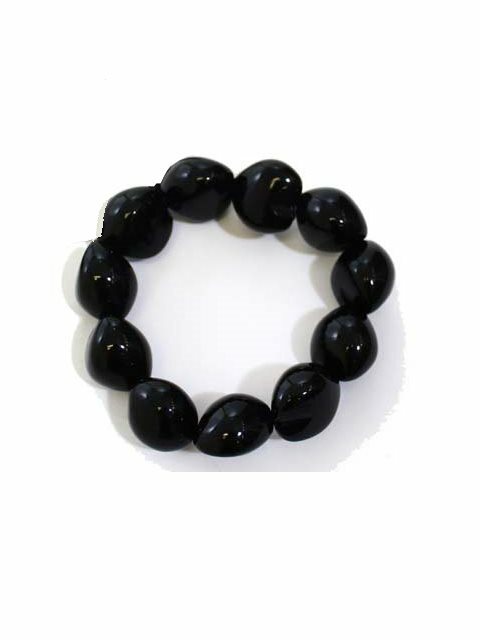 This kukui nut anklet is made of glossy-black kukui nuts. The string holding it together is elastic, which makes it very easy to put on and remove. Historically, kukui nut anklets were only worn by royalty; usually by the ali'i (reigning chiefs of an entire island). Today, the kukui nut anklets are worn in hula performance, usually in the kahiko. These go very well with our kukui nut leis.